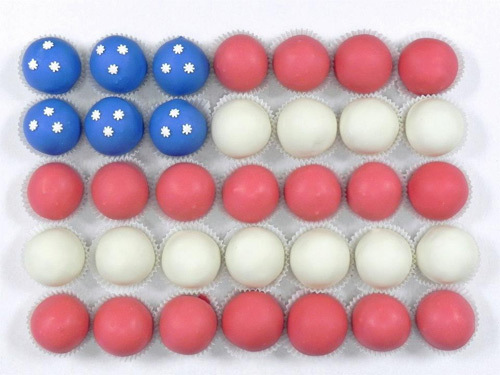 Combine our hand-crafted cake balls with some creative positioning to create a unique Cake Bites cake! Fun and delicious, our Cake Bite Shape "Cakes" will be the talk of your next gathering! Click here to order! Don't see the shape you have in mind? We love custom Cake Bite orders! Send us your idea and we can customize a Cake Bites design for you! Planning a wedding? Cake Bite Shape "Cakes" make awesome and unique Groom's Cakes!